Size: The size of the fascinator is about 11*16cm. Style: Vintage style,light weight and fashional headwear perfectly matches with your clothes. Design: Design exterior with flower decoration. Beautiful lightweight handmade fascinator headpiece with hair clip for secure fit that free you from worries that the item will fall. 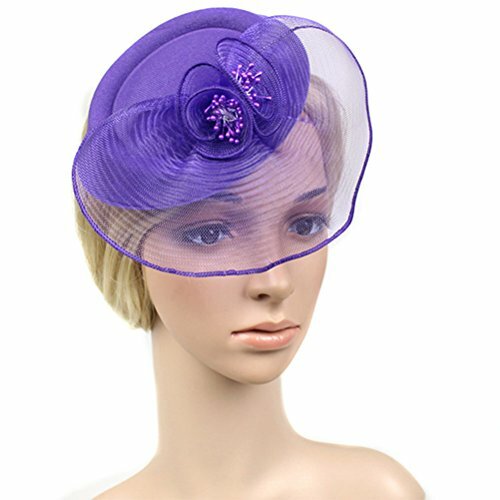 Suitable for photography, costume party, bridal party, wedding, church, cocktail party, tea party ,Bridal Party, Kentucky Derby and other occasions. If you have any questions about this product by Chiyou, contact us by completing and submitting the form below. If you are looking for a specif part number, please include it with your message.